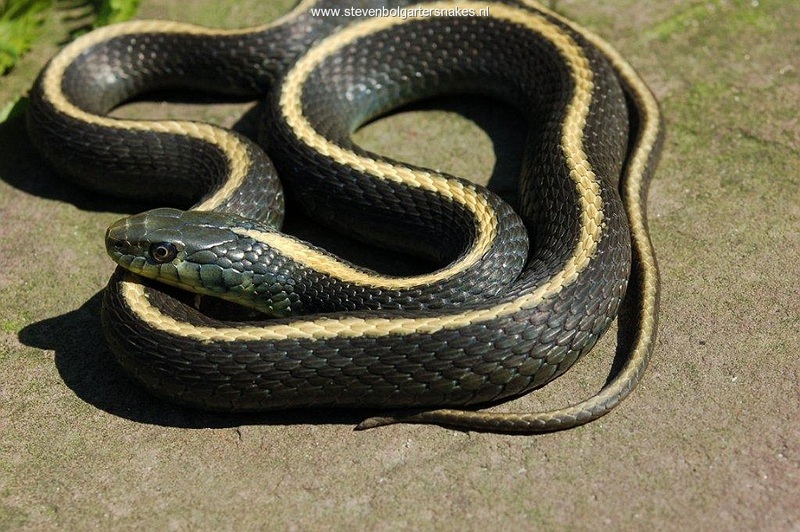 Thamnophis atratus atratus occurs only in California, USA. Up to approximately 2000 this Garter Snakes was only known from literature and some pictures in books and even this info was very limited. Adult male Thamnophis atratus atratus (Captive bred; Taa 101) at an age of 5 years while shedding it’s skin (71 cm total length). 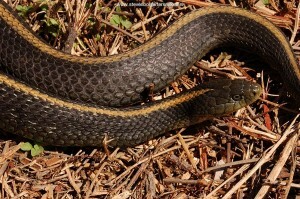 Part of the reason for this was the confusion about the different species of garter snakes occurring in California, USA. In older literature (appr. 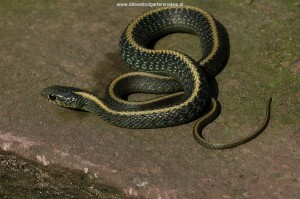 prior to 1980) Thamnophis atratus was considered to be a subspecies of Thamnophis elegans and Thamnophis ordinoides. 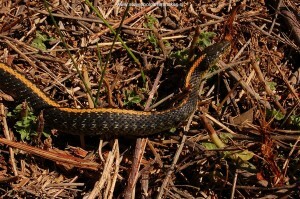 With its black coloration and striking yellow-orange dorsal stripe this species is quite unique within the genus of Thamnophis. 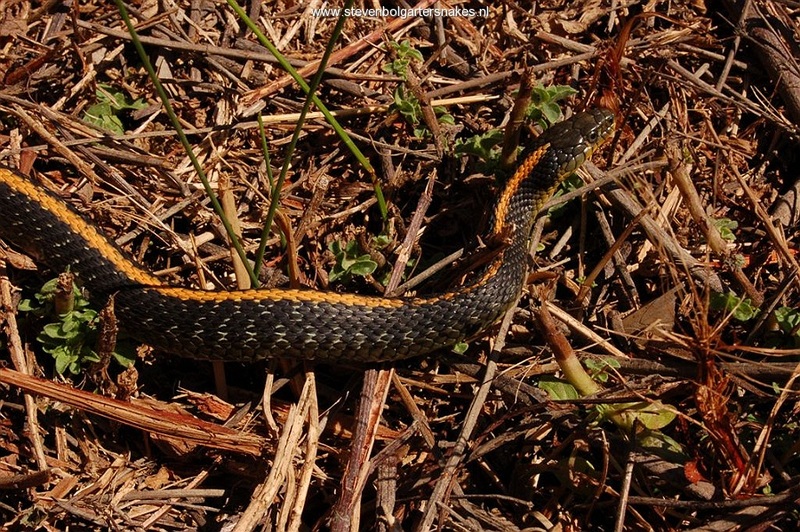 The Santa Cruz Garter Snake (especially the female) can become relatively stout bodied. Rossman, Siegel & Ford (1996) give as a maximum size for T.atratus 1016 mm, but I have never seen them this big. Most specimens do not get much larger then 80 cm (males) to 85 cm (females). Adult female T.a.atratus (Captive bred; Taa 241) at an age of 2 years (65 cm total length). 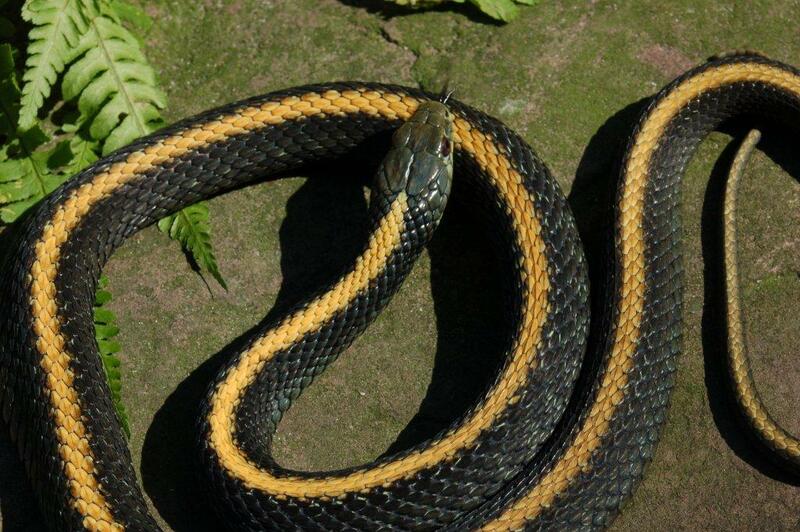 Typical for this subspecies is the bright yellow middorsal stripe which is in a striking contrast with its black color. The lateral stripes are lacking in this subspecies. The middorsal stripe can vary from pale yellow to warm orange yellow. Sometimes little white spots arevisible on the skin between the scales but these little spots seem to disappear (for a large part) with age. It is truly a beautiful and unique subspecies. 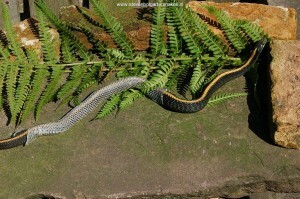 This diurnal snake is almost always clearly visible in the terrarium. Basking under the bulb in a branch or on the ground. They are a pleasant species to keep in captivity. They feed on dead fish readily and quite voraciously. Details about care in captivity and breeding this subspecies are found under Bol (2007). 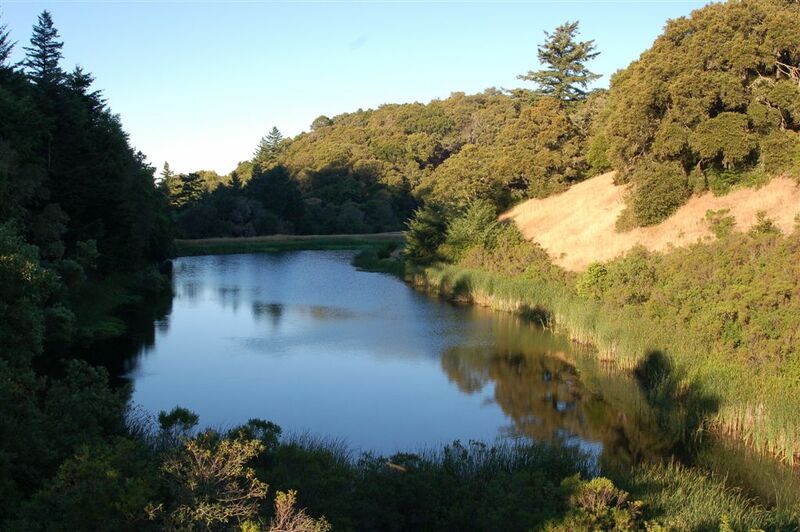 My snakes originate from a population living in the hills of San Mateo County. They occur there around a small lake 610 meters above sea level. In this habitat also the red morph of the Coast Garter Snake (Thamnophis elegans terrestris) occurs and you can find them side by side sunning at the water’s edge. At other places in California ( Marin County and Sonoma County for instance) you can find Thamnophis atratus in the same habitat as Thamnophis sirtalis infernalis (California Redsided Garter Snake). Biotoop – T.a.atratus in San Mateo County California. 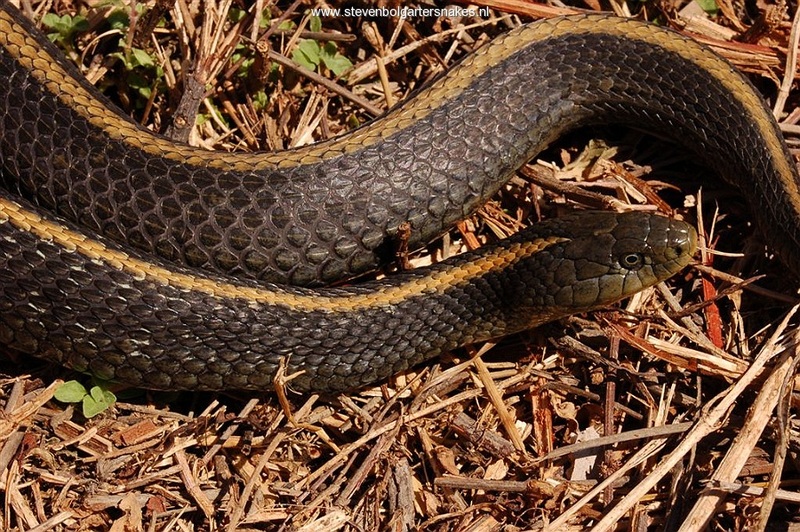 They will also share some habitat with Thamnophis sirtalis tetrataenia at certain locations within San Mateo County. These 3 species (T.atratus, T.elegans and T.sirtalis) occur in exactly the same habitat (sympatrically) so you could combine these beautiful species in one terrarium just like nature. Observations done the habitat of T.atratus in May 2000 are described in Bol (2002). 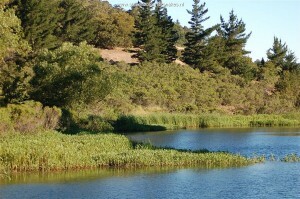 Because of the southern latitude it can be quit warm in spring,summer and fall, but at the same time this habitat is strongly influenced by the cold waters of the Pacific Ocean. 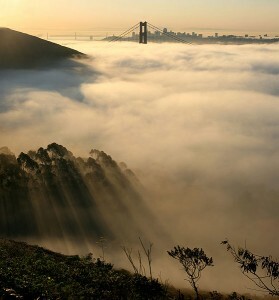 The coastal areas in California are often covered in fog (“marine layer”) and under these circumstances day temperatures sometimes do not rise above 16 ºC even in mid summer in a narrow coastal strip. A few kilometres away from the ocean the sun sometimes can burn away the fog and temperatures rise to 30 plus ºC. I expect that this population hibernates for at least 3 – 5 months. This is based on my observations done in February, March, April and May. 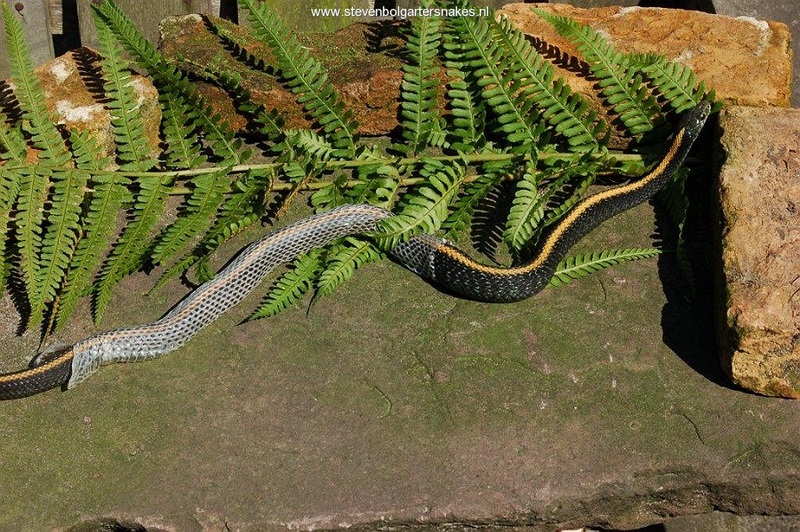 The snakes are usually found basking very close to the water’s edge (less then 2 meter) or they are seen swimming in the water. This subspecies is highly aquatic and catches most of its prey (mainly tadpoles and frogs) in the water. 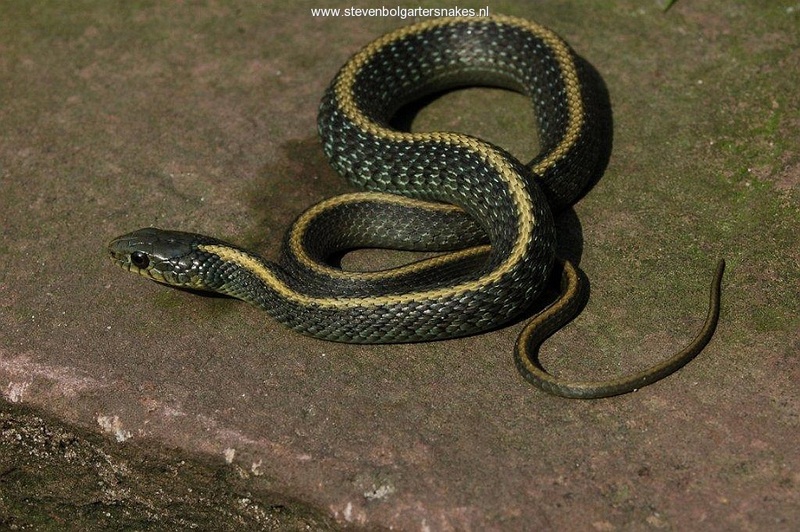 My Publication about Thamnophis atratus atratus (Bol,2007) can serve as a good guideline for keeping and breeding this fascinating garter snake. 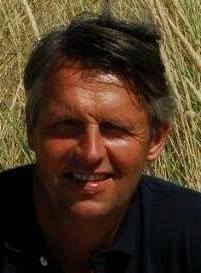 My breeding group consist of (offspring of) 6 wild caught specimens so there is offspring available from unrelated parents without a high risk of inbreeding. The genetic diversity within the captive bred population in the different terraria in Europe is very limited so it is important to try to maintain as much as the diversity as possible when one considers breeding.